The purpose of this blog is to document the research, inspiration and design process of my Final Architecture thesis at RISD. 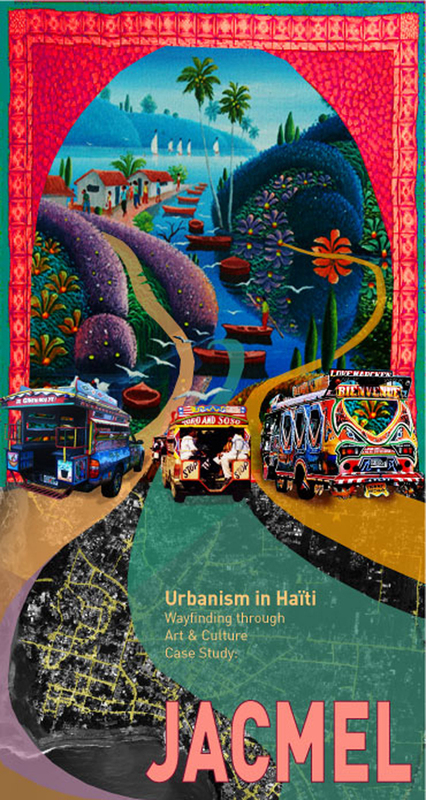 At first I was interested in the broad subject of Urbanism in Haiti, not knowing exactly where to settle. I explored the need for decentralization of the capital city of Port-au-Prince and how an effective transportation system could help branch out the dense population to the rest of the country. The idea was to promote the other cities and make them accessible through a reform and better regulation of the Tap-tap system. Tap-taps are colorful privately owned buses or pick-up trucks. They are used for public transportation around the country. They are called tap-tap because one has to tap the side of the vehicle twice to let the driver know they’ve arrived to their destination.